Hey girls! Hope you are all having a lovely relaxing Sunday. I'm currently wrapped up in a blanket listening to the 1975 and drinking lemsip trying to get better because I have a job trial tomorrow! So excited yet nervous at the same time. I really want this job so I have my fingers and toes crossed that I get it. I'll be so disappointed if I don't. But let's not think negatively and let me get to the point of this post. If you read my Boots Haul post (click HERE) then you will know I purchased a new foundation from the brand Rimmel. I'm going through a stage at the moment where I will try every drugstore foundation. Is that weird? Anyway, I decided to purchase the Rimmel Stay Matte Liquid Mousse Foundation based on the fact I absolutely LOVE the Stay Matte Pressed Powder (review HERE) so I already expected great things. However I will admit I have a bit of a love/hate relationship with this product meaning that this will be quite a mixed review so please bear with me. Before I start though let me just say that I absolutely love Rimmel products such as the apocalips, the stay glossy lip-glosses and their nail polishes and this hasn't changed my opinion of the brand in any way shape or form. Now that's out of the way let's get into the positives. One of the things I like about this foundation is the packaging. 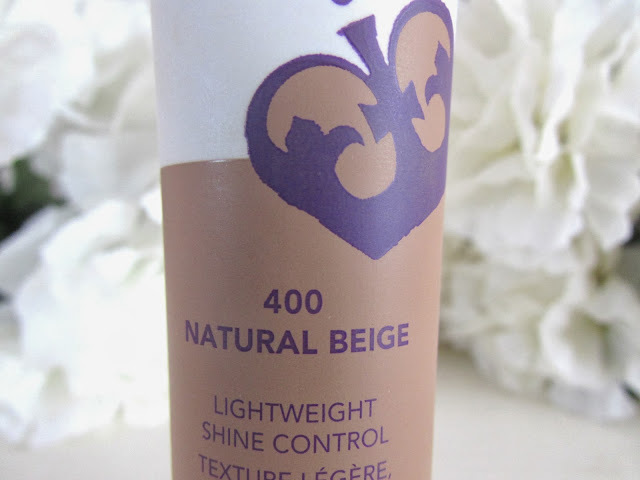 I love that it comes in a tube rather than a bottle with a pump like most other foundations do and I love that it is quite a stand out product because of the purple lid and purple crown. I also love that the packaging gives true representation of the color inside. The shade I wear is Natural Beige (400) which is the darkest shade. I was actually quite surprised that this matches my skin tone. I always seem to go for foundations that have a light to medium coverage but this is definitely more of a medium to high coverage. 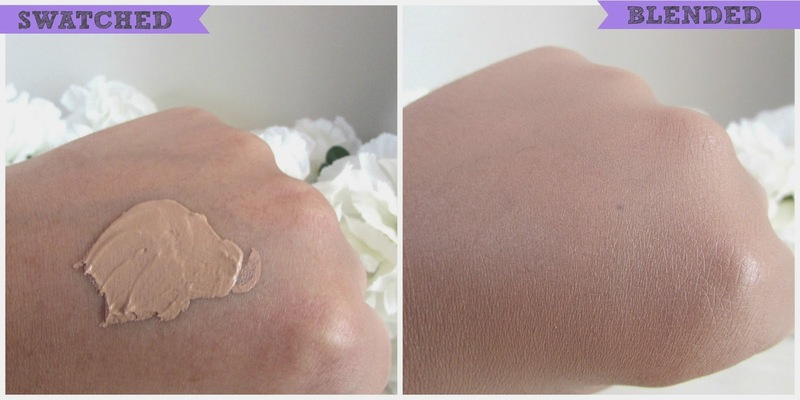 This foundation is also very matte which was new to me as I always seem to buy foundations that give me a dewy look but do actually like the way my skin looks when it is first applied. (we'll get back to this later). It looks even better when the stay matte pressed powder is applied over the top but I'm afraid for me that is where the positives come to an end. Already knowing this foundation was a liquid mousse I expected it to be a bit thicker than the foundations I usually wear but I couldn't believe just how thick this product is. It's not quite Maybelline Dream Matte Mousse but it is still very thick. Because of this it makes it incredibly difficult to blend and you do have to be extremely careful with just how much you apply as it is easy to end up looking very cakey. I find it easier to use my fingers to blend it rather than a brush as it takes double the amount of time if I use my expert face brush from Real Techniques! Note that above I said 'the way my skin looks when it is first applied). This is because after around 3 hours I end up with quite patchy skin which I dislike immensely and when I go out somewhere I rarely have the time to keep reapplying it. I also find that it drys out my skin and as I already have dry skin this is a huge negative in my books. In summary I love the packaging and the medium to high coverage but to me it definitely isn't long lasting and doesn't work well with my skin at all. I'll finish off by saying what I said above and that this is just how it works with my skin. Everybody has different skin types so if you try it maybe it will work brilliantly. If you would like to try this product it is priced at only £5.99 from Superdrug and comes in five other shades as well as Natural Beige (400) which are Light Porcelain (010), Ivory (100), True Ivory (103), Soft Beige (200) and Classic Beige (201). Have you tried this foundation? Do you love it or have you been left disappointed like me? If you have tried this product already and have done a review on your blog link it below as I would love to know your own thoughts. Sounds like an interesting product! 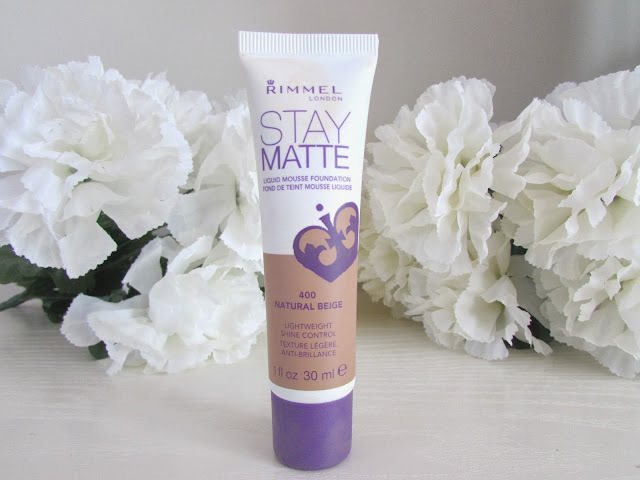 I quite like Rimmel foundations and I have oily skin so I may like this one! I'm very interested for this one, and will be purchasing :) Thanks for review!